We offer a different and highly effective way of managing the disease for the person with dementia, their family, and their carers. This is known as the SPECAL method. The SPECAL method is based on an unique understanding of what the experience of dementia is all about, from the perspective of the person with the condition. 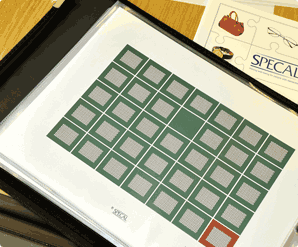 The SPECAL Photograph Album understanding of dementia enables carers to adapt their behaviour to take account of the dementia. The SPECAL method sees dementia as a disability that can be managed with remarkable success, not as an irreversible medical condition to be defeated. 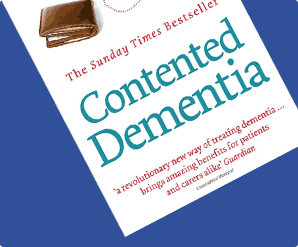 The Contented Dementia Trust provides a range of courses, services, advice and information based on the SPECAL Photograph Album understanding of dementia and the associated SPECAL method. Carers who have adopted the SPECAL method are able to protect and sustain the quality of life of their loved ones in spite of the dementia. 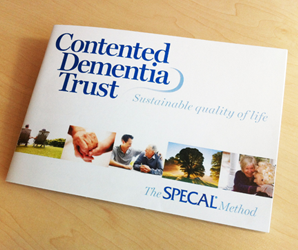 Sustained well-being – 24 hours a day, every day, for life – is what the Contented Dementia Trust is about. Find out how the SPECAL method works and share the personal experience of family carers.